Videos | A . T . T . N ! Having a variety of instructional materials is encouraged in your classes. 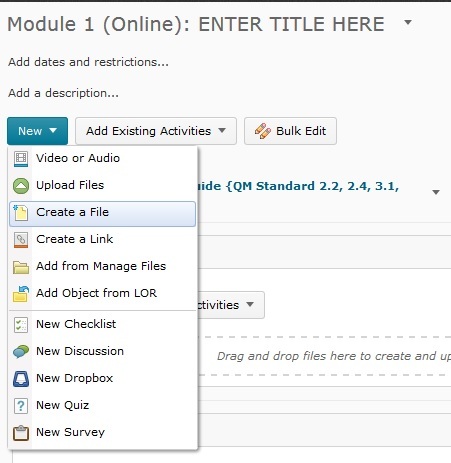 It is easy to put videos on topics related to your class in your D2L Brightspace course shell. Here is a reminder how to do it (Click here for the full post with pictures). 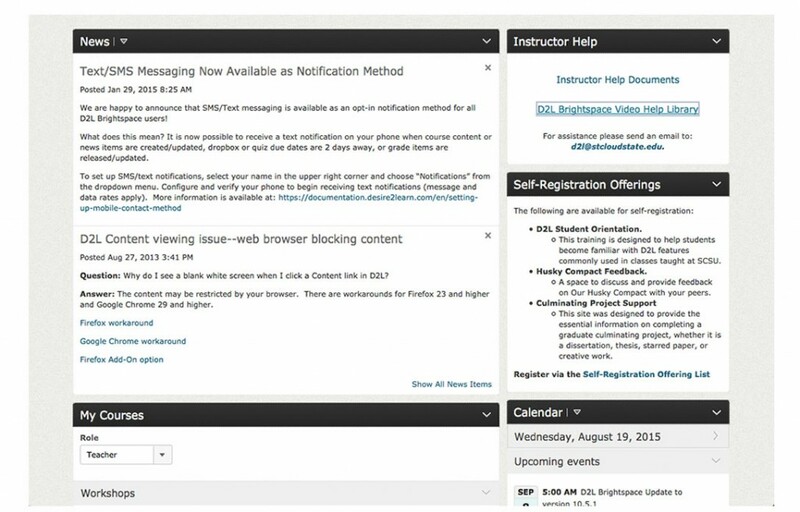 Instructors can create a HTML content topic and insert an embedded video, or create a Quicklink content topic to a video URL. 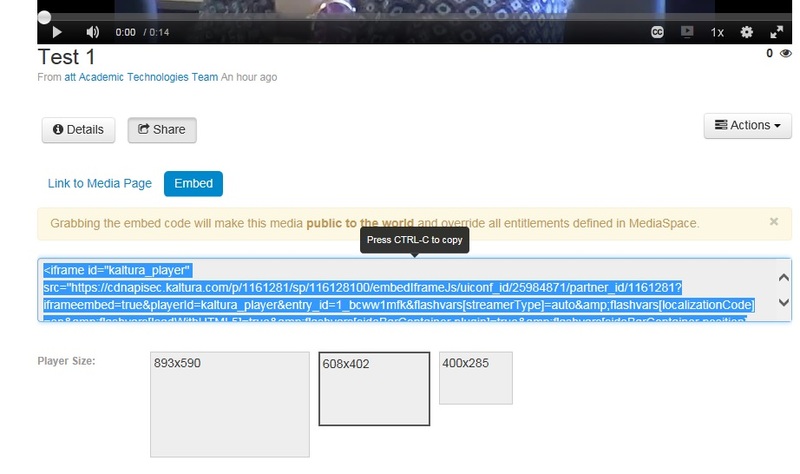 Video topics are listed in modules with a Video icon to distinguish them from other types of files and link topics. 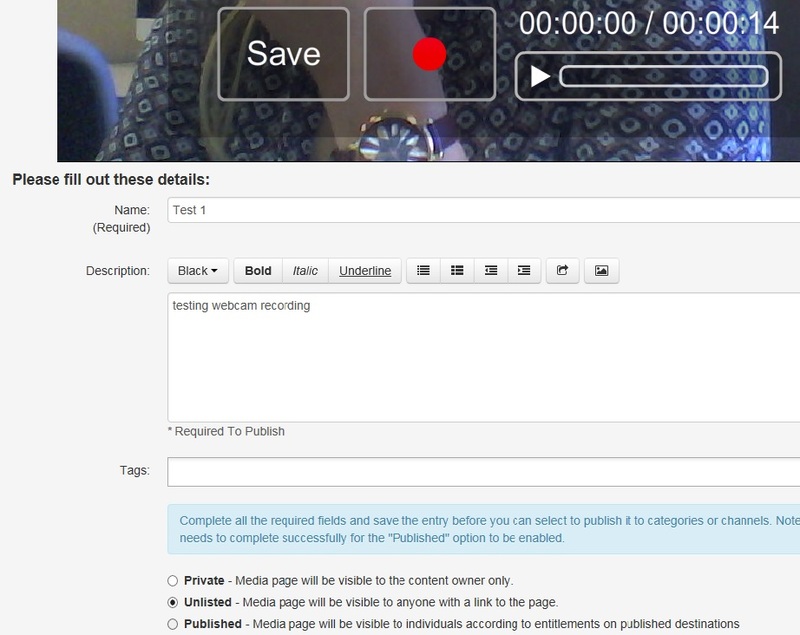 – To create a video content topic, click New in a content module, then select Video or Audio from the drop-down menu. 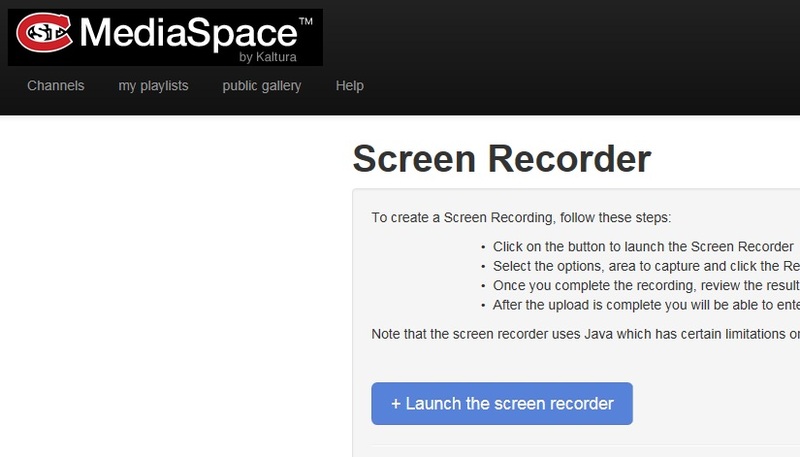 – Two options: Upload: You can create your video using Mediaspace where you would use the embed code. 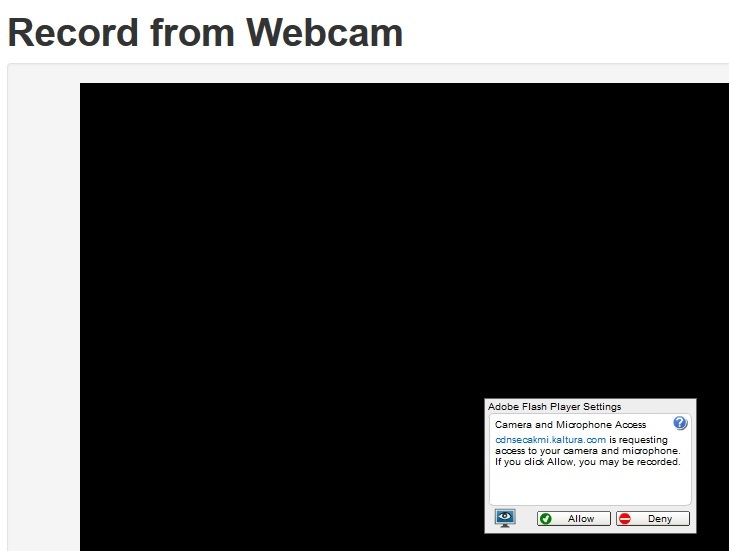 Web Video or Audio: paste URL in the field and after the video loads click save. Note: Any web video can be used to create a video topic simply by pasting its HTML embed code in the Enter URL or Embed Code field. 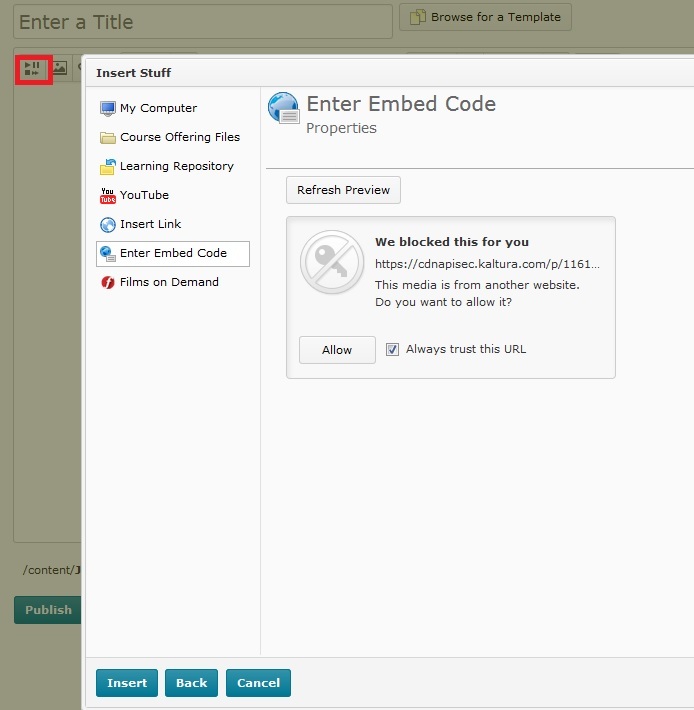 Additionally, D2L Brightspace provides shortcuts for some web sites, enabling users to create videos by simply copying and pasting the URL of the video instead of the HTML embed code. 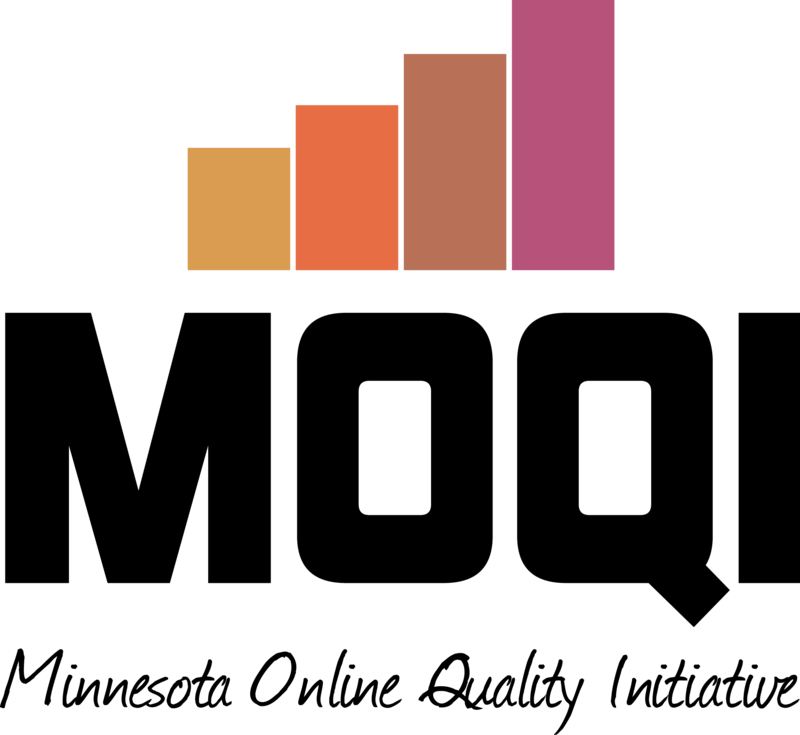 The following table lists supported sites that were selected based on the most frequently used videos by D2L Brightspace clients today.